Sasha Vezenkov put his piece in the victory of Olympiacos. 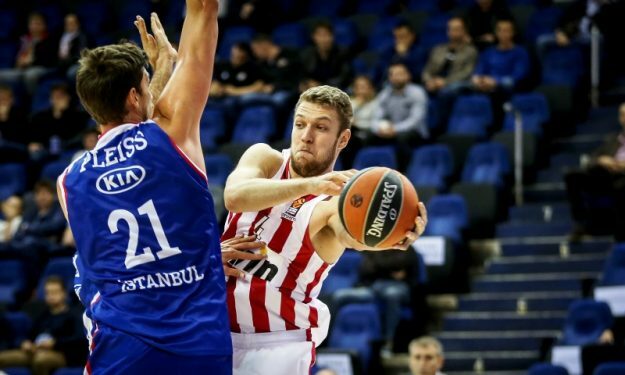 Olympiacos forward Sasha Vezenkov had one of his top performances in the season so far to help his team get a much-needed EuroLeague win against Buducnost. Vezenkov scored 12 points (via 2/4 2-pointers, 2/2 2-pointers, and 2/2 free throws), grabbed five rebounds and dished out two assists for 18 PIR in 13:44 minutes, as Olympiacos bounced back from a five-game skid in EuroLeague.